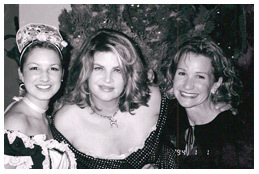 Torey Southwick of Torey Time, Paula the Art Factory, and Ginny Graves, the lady from the Nelson Gallery. 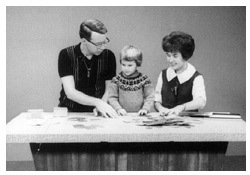 Torey was the Kansas City's Mr. Rogers of the 60s for creative thinking. Adams, Paula. Center for Understanding the Built Environment (CUBE) Newsletter. '86 and '87. Landmark mapping and the macaroni Gothic cathedral: fun built environment teaching tools. Adams, Paula. “Ranching in the Kansas Flint Hills: Exploring the Built Forms of a Family Cattle Ranch.” Master's Thesis, University of Kansas, May 1997. Adams, Paula. “Ranching.” Encyclopedia of Contemporary American Culture ed. McDonogh, Gregg and Wong. London and New York: Routledge, 2001, 606-607. Cantrell, Scott. “Architects See Beauty in Kansas.” The Kansas City Star, 25 May, 1996. Adams thesis historic building is featured in photo “Now that gets the architecture award for the day.” quote: John Gaunt, Dean of School of Architecture and Design at the University of Kansas. Darr, Andrea. “Keeping the Faith”, Kansas City Homes & Gardens (KCH&G), (April 2005): 134-139. Adams architect for Steven and Polly Revare church-to-loft renovation. Domer, Dennis and Michael Swann. Vernacular Architecture Forum: Making Urban and Rural Landscapes on the Prairie Plains. VAF Forum Field Guide 1996. National meeting of over 300 scholars from the United States, Canada and Europe in Lawrence, Kansas. Paula Adams, drawings and analysis of the Schultz Ranch and the Flory May-Way Farm. Miller, Bill. “Area Ranchers Promote Beef in New York.” Meade Globe Press, 9 June 2010. US Premium Beef members John and Paula Adams kick off the grilling season promoting “Naked Beef” at StewLeonard's chain of upscale NYC grocery stores. National tv newsfeed Fox and Friends May 27, 2010. Oringderff, Barbara. 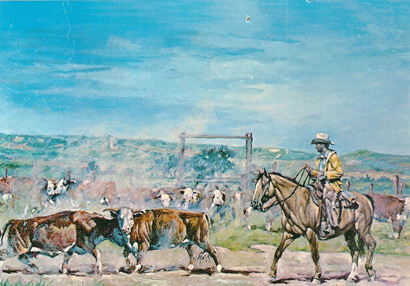 “The Adams Ranch.” Territorial Magazine, 23:4 (Winter 03-04): 53-60. History of the XI and XIT Ranches. Staff. 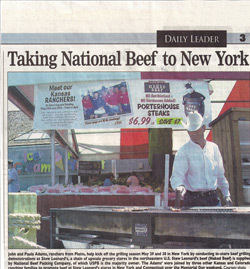 “Taking National Beef to New York.” High Plains Daily Leader, 7 June 2010. John and Paula Adams represent US Premium Beef, producer owners of National Beef Packing Company and supplier of StewLeonard's “Naked Beef” to promote his product and kick off grilling season in NYC Memorial Day. Adams, Paula. The Liberal Landmark Game: an architectural walking tour of Liberal, Kansas. 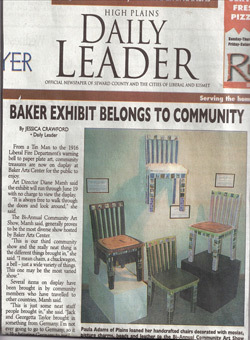 '85 Community Built Environment activity at the Baker Arts Center. Adams, Paula. Prairie Pug. 1991. An illustrated story following the urban adventures of a rural pug who falls down into Prairie Dog Town. Adams, Paula. Nourriture et Vins de la France. '86 An illustrated vocabulary guide of French food, vendors, and wine growing regions of France. "If you've done it, it ain't braggin'"